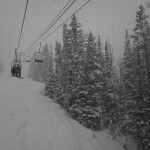 Big Sky, Montana was dumped on today by Mother Nature, almost the entire day. Leaving work to catch some of the face shots up at Moonlight Basin and Big Sky Resort was one of the better decisions I have ever made. 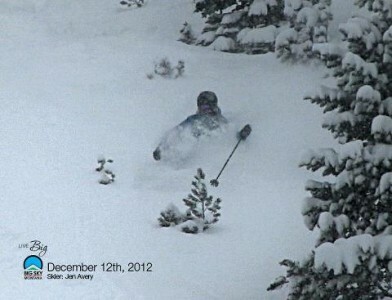 By the time I got up there around 1pm we had 18-20 inches of fresh powder to sift through making it a truly epic powder day on lone mountain. The visibility was extremely flat light and getting shots up to your chest and face made it almost a blind shot out there, kind of like skiing within the clouds. 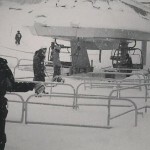 The temperatures are not too bad, especially with the work out that the powder is entailing throughout the day. 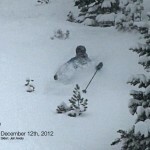 Check out some photos Big Sky Resort posted on their facebook page of this epic powder day 12/12/12!